These easy DIY hexagon cork memo boards are so simple to make and they add a ton of style to your home office. They would even look cute hanging up in your cubicle at work. It’s been a while since I talked about my marble and gold home office that I revealed on the blog back in March. Since the reveal, we’ve made a couple changes in the room. Most notably, we moved my ScrapBox out to the dining room area by our coffee bar and made room for my hubby to work in the office too. 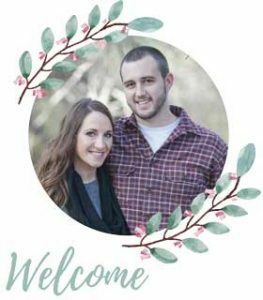 He is doing residential real estate now (Central Oregon peeps, you can find him over at Manzanita Realty if you are looking for an awesome realtor). 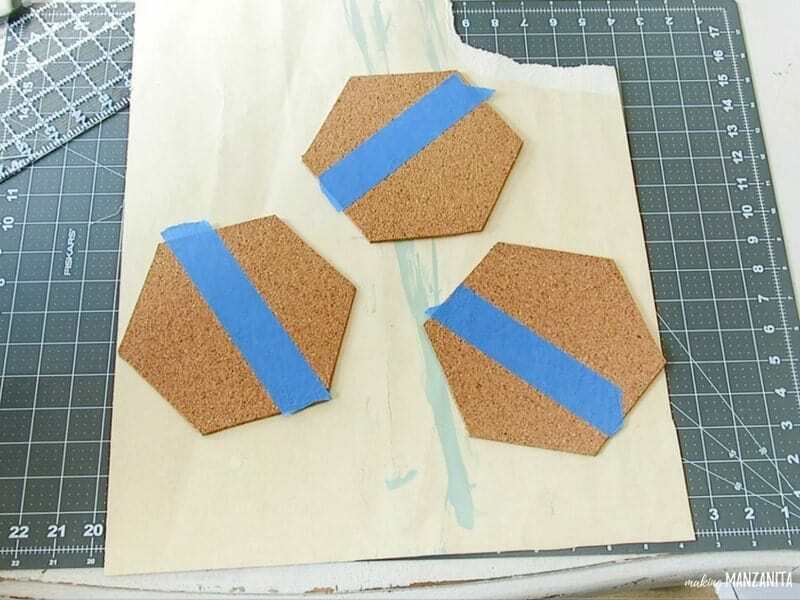 I’ve had a few readers ask about these cute little hexagon cork memo boards and then realized that I never got around to posting the full tutorial. Silly me! Step 1. Print hexagon shape. I just used Canva to create a hexagon shape on a piece of paper and then printed it out. After cutting the hexagon out, I used it as my stencil. Step 2. 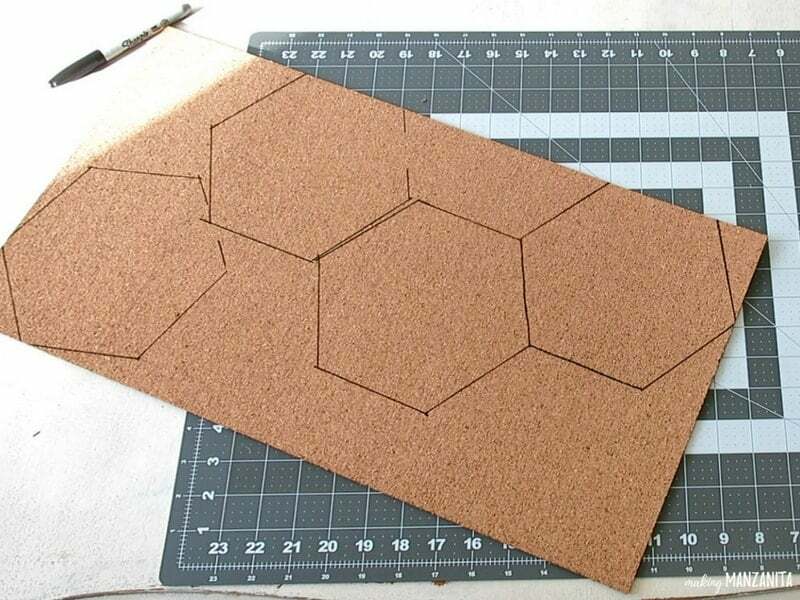 Trace hexagon shape on cork board. 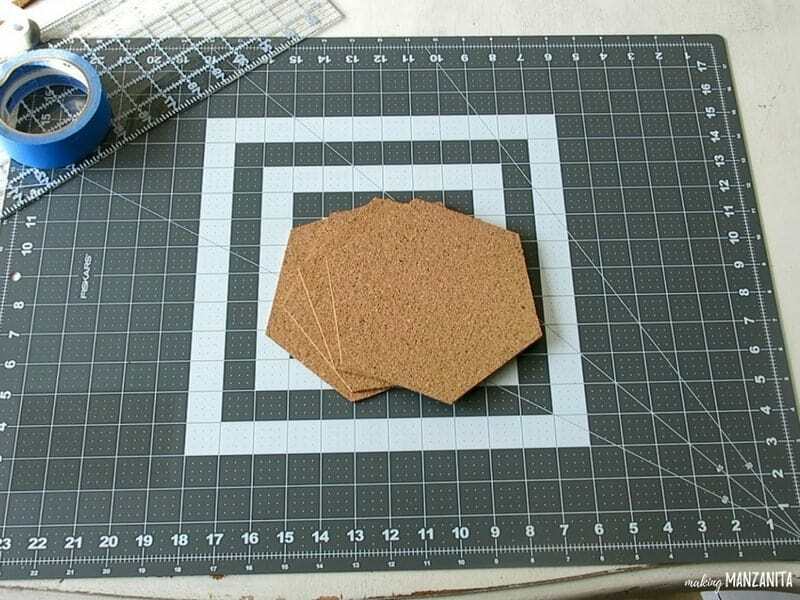 Next, use your printed hexagon and trace the shape on the cork board. I used a Sharpie and clear ruler. I was able to get 4 hexagons on my 12” by 18” sheet of cork. 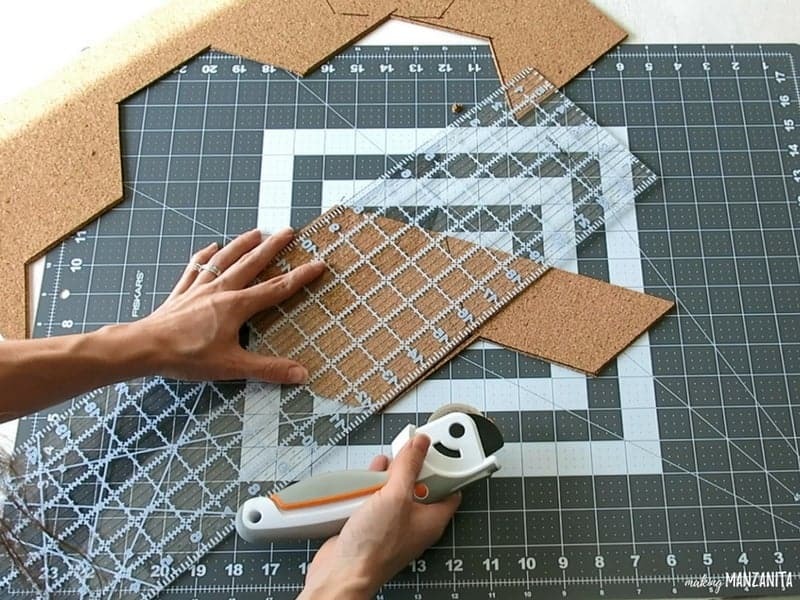 Using the clear ruler again and a handy rotary tool, cut out the hexagons on a cutting mat. Step 4. Tape off and paint memo boards. 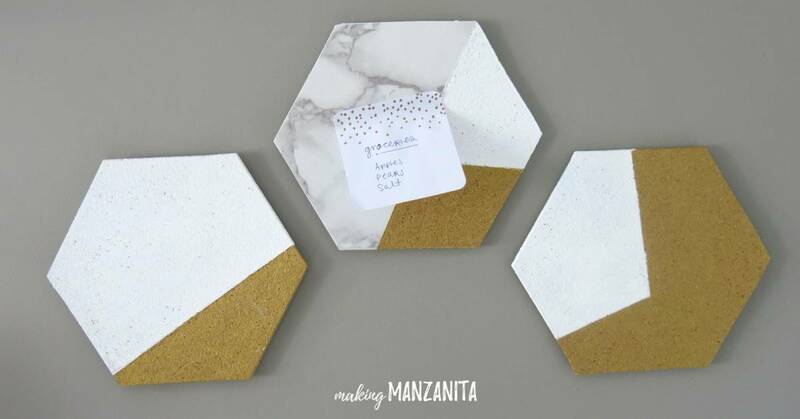 I wanted to do some modern looking color blocking on my hexagon cork memo boards, because I thought that would fit right in with my marble & gold office. 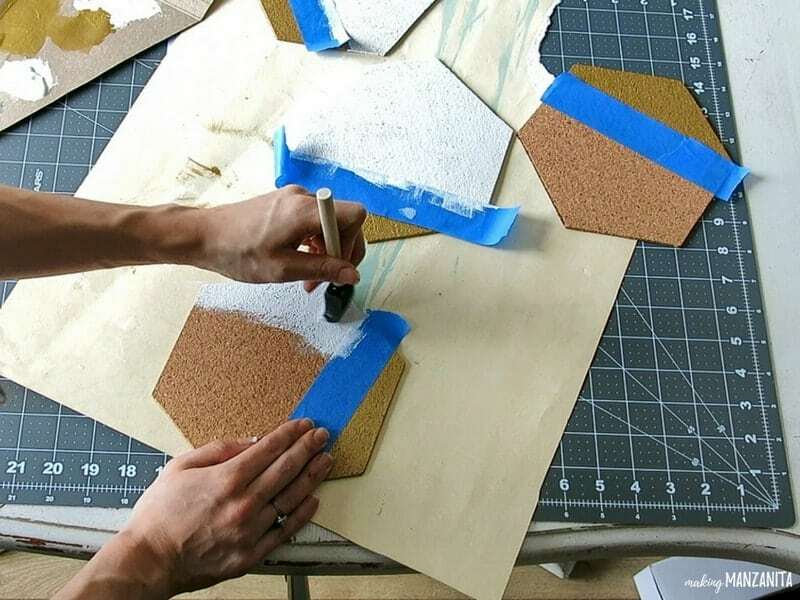 Using painters tape, block off certain areas of the memo boards and start painting with a foam paint brush. I was a little surprised with how much the cork really soaked up the paint, so I needed to do multiple layers and pretty heavy on the paint. Remove tape when finished. Step 5. Tape off and paint 2nd color. 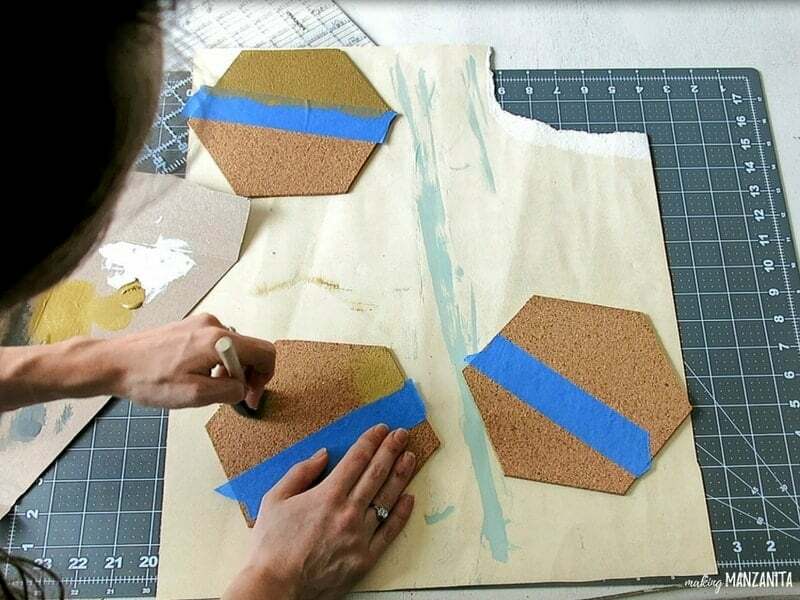 Once the 1st color paint is completely dry, add more tape to finish the color blocking in a 2nd color. I needed even more paint with the white color. I probably did about 3-4 coats. Step 6. Add contact paper. 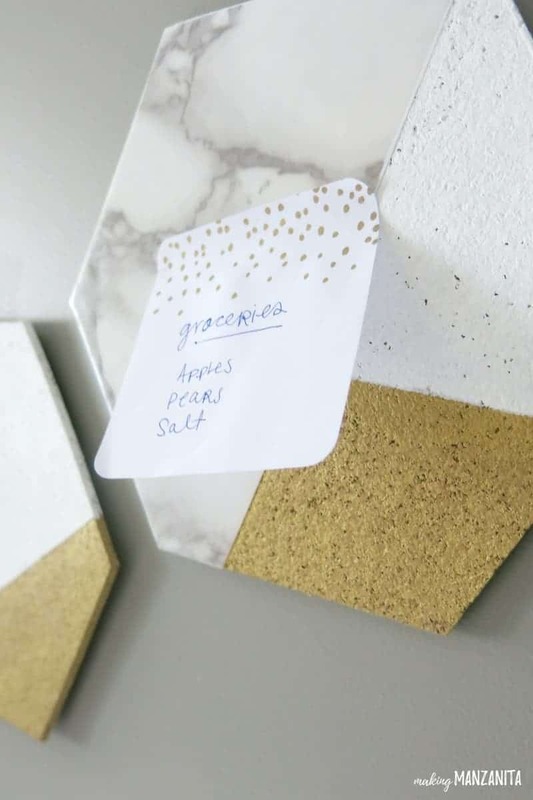 This part is totally optional, but I think the marble contact paper adds a fun little touch to these easy DIY hexagon cork memo boards! I had the marble contact paper left over from making this marble contact paper clock. 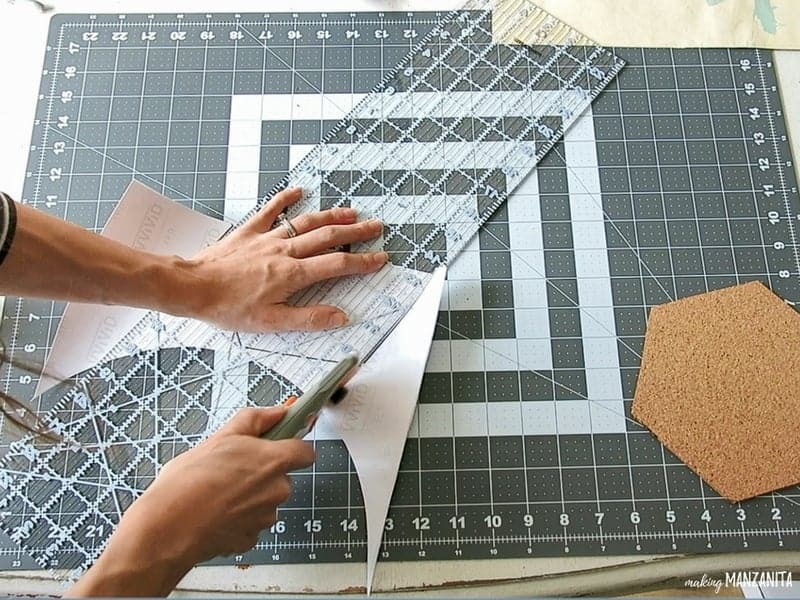 Trace the hexagon on the back of the contact paper with a Sharpie and then cut with your clear ruler and rotary tool. The contact paper will just peel and stick right on to the cork. Note: Unlike the painted cork, the contact paper WILL show holes when you use a tack. Step 7. 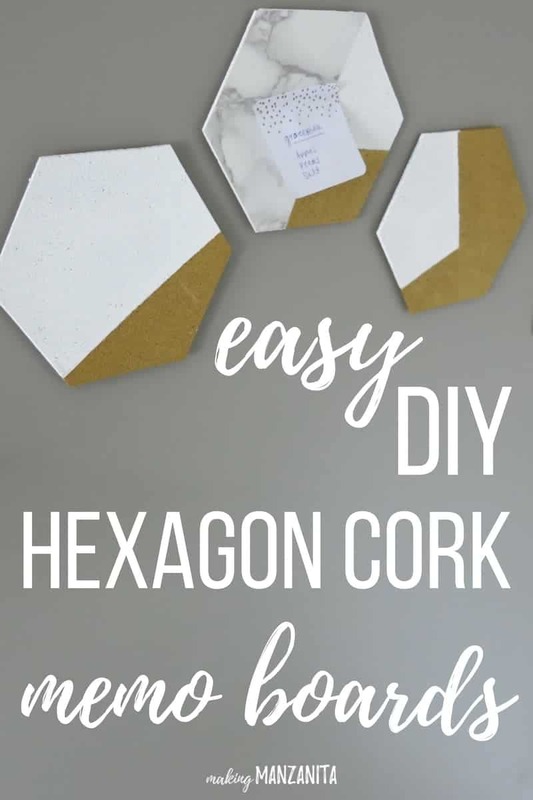 Hang easy DIY hexagon cork memo boards. We used Velcro Command strips to hang the cork boards on the wall. Please tell me I’m not the only one completely obsessed with Command Strips? 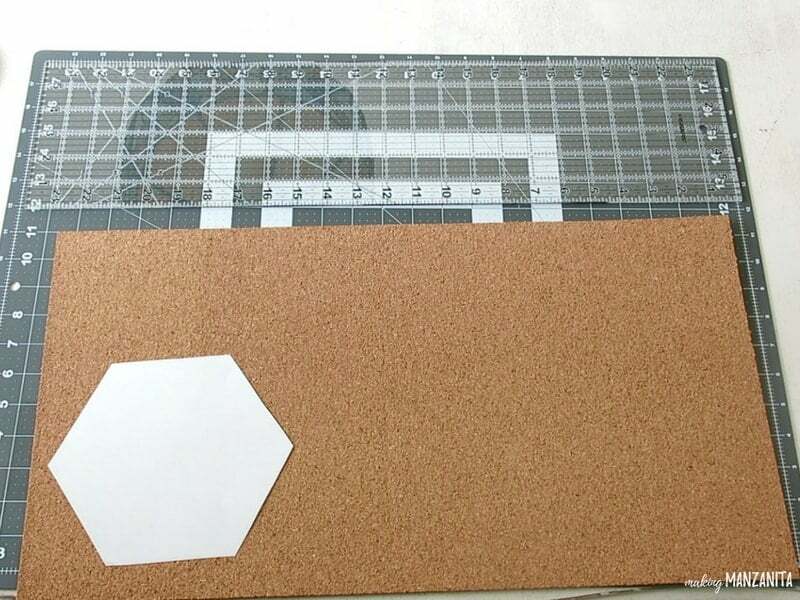 Aren’t these easy DIY hexagon cork memo boards adorable? All you have to do is cut up some cork and paint it pretty to get this unique office wall decor idea. Want to see more of our marble & gold home office?? 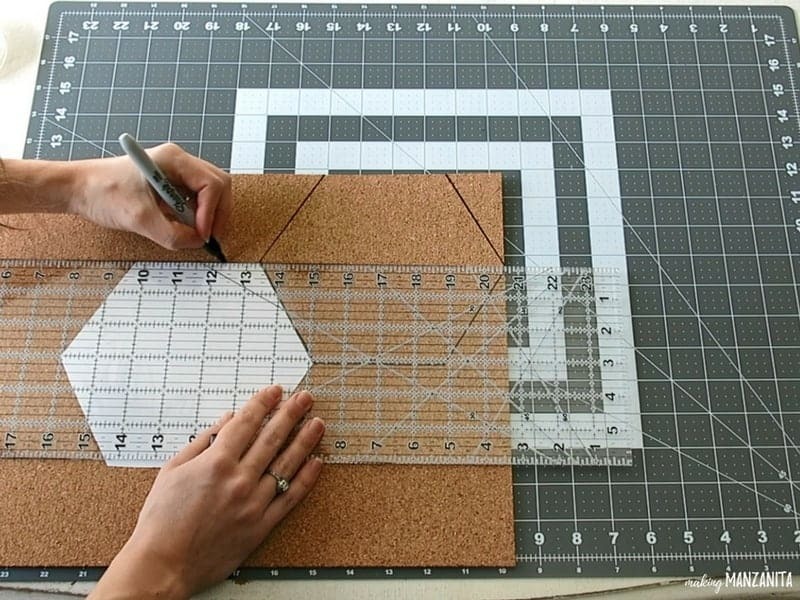 What color would you paint your easy DIY hexagon cork memo boards?